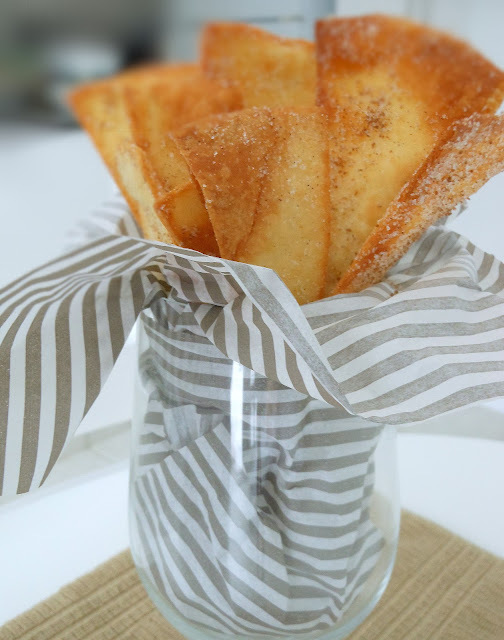 Eating these cinnamon and sugar fried tortilla chips can be additive. Once you start the first one, it will be hard to stop. They are very easy to make. Many of you probably know this recipe, but it may still get overlooked sometimes. These chips are good for munching while you are watching your favorite TV shows. Enjoy! 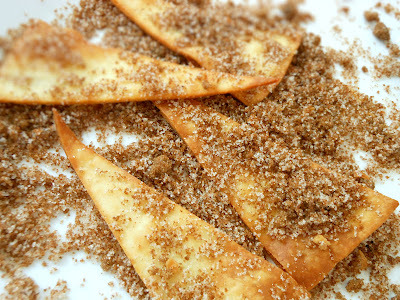 Mix cinnamon and sugar together. Set aside. Cut each tortilla into small wedges. Heat oil in a pot or frying pan over medium heat. Remove the chips from oil and place them on a cookie sheet or plate. Sprinkle cinnamon and sugar on both sides of the chips. Oh no!!!! 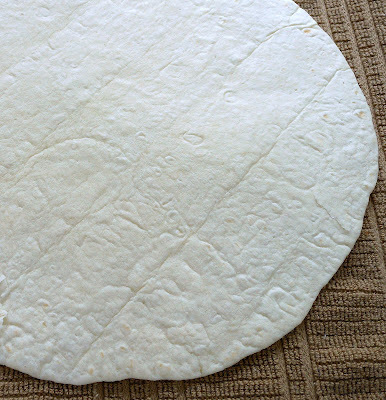 I *just* toss away a few tortillas because yesterday was a compost day and didn't plan on making anything with tortilla anymore. UGGHHHH! I should have kept them!!! I actually didn't think that we can make sweet chips out of it (only those chips for salsa...). I am going to make this next time. I will remember this! Great recipe!! !